Well, I tried to install Flip4Mac in order to play Windows Media Videos in my browsers on Mac OS X and got this nice error message. 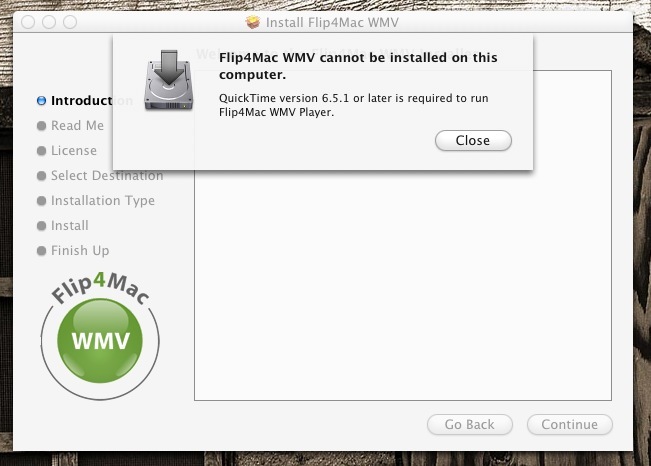 Flip4Mac WMV cannot be installed on this computer. QuickTime version 6.5.1 or later is required to run Flip4Mac WMV Player. The solution to this problem is the following. Download Flip4Mac and copy the "Flip4Mac WMV.mpkg" to your desktop or somewhere else. 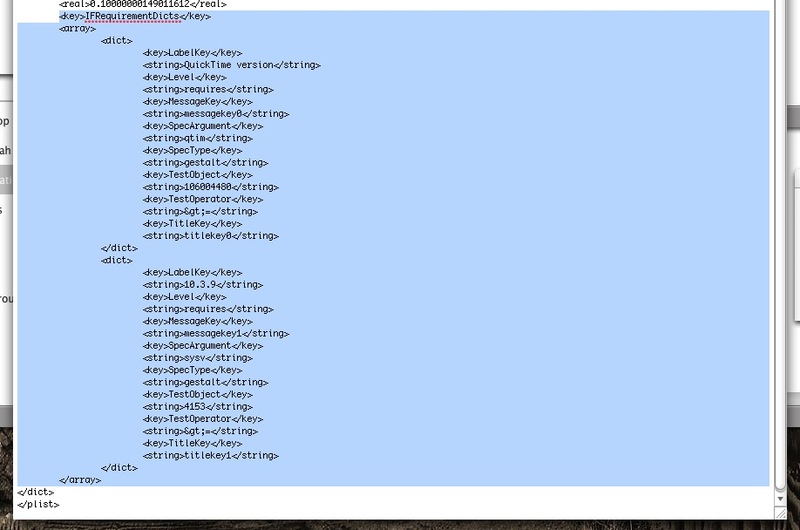 Find "IFRequirementDicts" and delete the complete key tree like this . Save the changes (overwrite) and you are done. Now install Flip4Mac by just double-clicking the "Flip4Mac WMV.mpkg". This entry was posted on Saturday, July 29th, 2006 at 10:42 pm	and is filed under mac os x. You can follow any responses to this entry through the RSS 2.0 feed. You can leave a response, or trackback from your own site.